Looking for a fun way to relax, catch up with old friends, or meet new Gaiters? Make plans to join us at one of our upcoming alumni events! A wide variety of activities – sure to please the tastes of all alumni – are organized each year by your Alumni Association. Come on out and help us paint your city (and the world) Purple! As always, Homecoming weekend promises to be a weekend of reunions, activities and of course, tons of purple! We are excited to see your purple pride and welcome alumni back to the beautiful borough of Lennoxville. Annual events include Gaiter athletics action on Coulter Field, an Alumni & Friends Pancake Breakfast at Griffin Alumni House and a tailgate celebration leading into the Gaiters football game headliner. 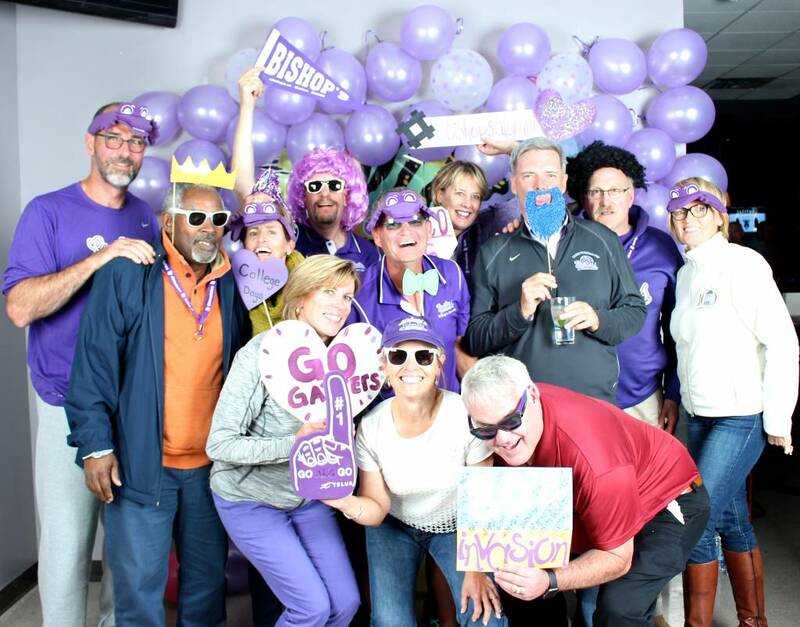 The Bishop’s University Advancement Office hosts class reunions throughout Homecoming weekend for Bishop’s graduates. These reunions provide Alumni with the opportunity to gather together and celebrate while partaking in events and activities planned on and around campus. If you have any questions regarding reunion weekends, please feel free to get in touch with us by emailing: alumni@ubishops.ca.